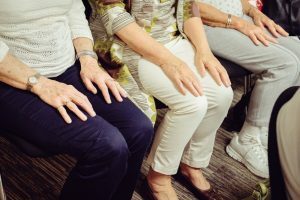 Please come along to our next Bury St Edmunds Arthritis Action Group, to meet others living in your area with arthritis, share hints and tips and to let us know what you would like to gain from the Self-Management Approach. Speaker: Group & Events Manager Leah Boylan, giving a presentation entitled ‘Getting to Grips with Gadgets’. Interested? Please call us now on 02037 817120 – or email us: info@arthritisaction.org.uk to reserve your place.